Easter candy - the polling booth - Furtopia | Family Friendly Furry Forum and IRC Chat! Exactly as the poll says. What's your favorite candy at Easter time? As for me, almost anything chocolate. I will eat jelly beans, but only the Jelly Belly flavored brand. I don't really eat candy much and tend to forget about Easter. So... None of the above? don't care much for milk chocolate. Dark chocolate is my favorite. Everything listed above except Peeps. I hate Peeps. They are chewy marshmallows...stale, chewy, dyed marshmallows in poor bird forms...nope. Oh er, hi, old rabbit. Maybe not ALL the bunnies. I love milk chocolate rabbits! 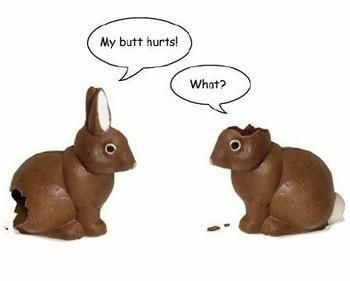 I like to bite the ears off chocolate bunnies first, then the tail, then everywhere else. 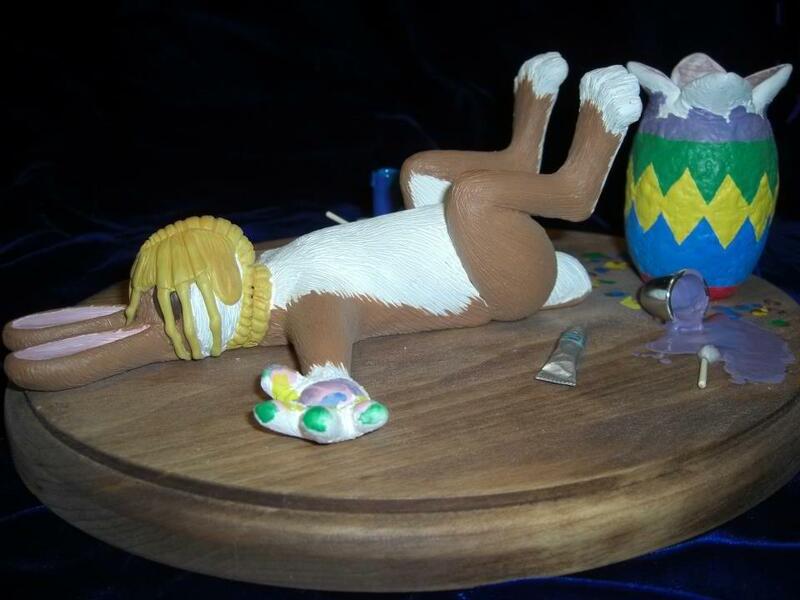 Beware the ALIEN xenomorph Easter! "Tosses you a bag of chocolate chip cookies." I'm with you Kobuk, Jelly Belly is the only way to go when it comes to jelly beans! Profile pic outline goes to respected artist and the color of my character is only temporary. Cadbury milk chocolate mini eggs. I'm one of those weirdos who doesn't care about what kind of candy there is too much. I'll just take whatever we have as long as I like it, Easter or not. Besides, I'm neither very well-known with nor do I care much about the fancy whatever-you-haz in the USA so I can't answer the poll. need to go to a candy store to find big ones. We have no Walmarts around here, drug stores don't sell them and candy stores nearby closed a while ago probably because of the economic crysis of my country. Searching for "homemade jelly beans" on Google turns up some interesting results. Can't say how good any of the recipes are but they might be worth a try. I wait until after Easter, then load up at the big-name drug stores when the stuff is marked down 50-70% off. Avoid the Palmer bunnies and grab Lindt, Whitman, Dove, and Godiva for the best chocolate IMHO. Some furs use the hollow bunnies for Chocolate Bunny Death videos.